NMAT 2018 have unique features such as rescheduling and retaking of the examination for the convenience of the candidates rescheduling means candidates can reschedule their examination 72 hours prior to their original examination to avoid conflicts with their life events and if candidates are not satisfied with their examination they can opt for retaking option for up to 3 times including the original attempt. Online Registrations Starts 03 Jul 2018. 03 Oct 2018. Applicants must have a bachelor’s degree in any stream with minimum 50% aggregate. Candidates must refer to the respective institutes for detailed eligibility. There is no age limit for NMAT Exam. Test Registration (Early) Rs. 2000/-. Test Registration (Late) Rs. 2500/-. Additional Score Reports (beyond first five) Rs.200/-. GMAC c/o GreenClouds 6708, DLF Phase IV, Gurgaon – 122 002 Haryana, India Phone: 092130 27791/ 92. 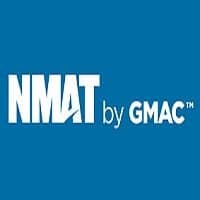 NMAT Exam Pattern- NMAT is a competitive entrance examination conducted by GMAC. The official NMAT Exam Date 2018 is expected to release in the first week of July 2018. If you are looking for NMAT Exam Pattern 2018 then you are at the right place. Here you will find NMAT exam pattern and other important details related to it. Moreover, you will also find detailed NMAT syllabus 2018 along with the topics that are included in the examination. Mode of Examination The exam will conduct in online mode only. No. of Sections The total number of sections in the exam is three. Total Questions The exam contains a total of 120 questions. Time Allotted 120 minutes or 2 hours. NMAT Total Marks 360 Marks. Negative Marking There is no negative marking in the exam. Language Skills 32 22 Min. Quantitative Skills 48 60 Min. Logical Reasoning 40 38 Min. MAT 2018 is going to be a computer-based test and you have to attempt the questions on the computer in the examination hall. The paper format, number of questions, NMAT exam pattern 2018, the difficulty level of questions and the time limit for each section is going to be same regardless of the place where an exam is conducted. Each thing is pre-decided and you have to appear for NMAT 2018 and select the order of section in which you want to attempt the questions.